The revolving G7 presidency is an enormous responsibility for each of the G7 countries as they establish a set of priorities for their unique agendas. There is impetus for a host country to make progress on iterate issues while forging ahead on new frontiers that require the attention of policy makers. Careful consideration is given to the location of the annual summit, as the host country has an opportunity to showcase its geographical best. For Canada, this would be a monumental task given its magnificent landscape. It is also a task that could be an opportunity to ask Canadians what city they would choose as host. Indeed, what better way to hear about citizens' personal thoughts of how and why their country should be showcased on the global stage, particularly during the 150th anniversary Canada's Confederation. Canada's choice for the June 2018 summit is Charlevoix, Quebec. A beautiful and ideal location, this geography provides an idyllic natural setting. Rolling lush meadows dotted with historical homesteads and farms along the pristine St. Lawrence River leading to the majestic Laurentian Mountains, providing a diverse landscape on the Canadian Shield. The symbolism is meaningful given the history of the region and the province and how Canadian prime minister Justin Trudeau's liberal government priorities align with the values and commitments made by the G7. Charlevoix is located on the north shore of the St. Lawrence River, just an hour and a half from Quebec City. Quebec is the largest province in Canada, and its capital is Canada's oldest city having celebrated its 400th anniversary in 2008. Seventeenth-century French explorers found the historical route from the Atlantic Ocean along the St. Lawrence River. It would be the pathway to fulfilling the dreams of thousands of settlers from many countries and cultures over the course of these 400 years. In 1608 Samuel de Champlain founded a trading settlement and called it Quebec, a name derived from an Algonquin word meaning "where the river narrows." Quebec became the capital of New France as colonization spread throughout the New World, now North America. The cooperation of the Algonquin and Iroquois peoples, who have inhabited these lands for thousands of years, made it possible to settle and forge the prosperous fur trade enterprise. First contact had been made 74 years earlier, in 1534, by Jacques Cartier when he landed in nearby Gaspé, which led eventually to a settlement there. The British explorers were fierce competitors in the New World and, after a few failed attempts at overtaking the French settlements along the St. Lawrence River, they finally succeeded with their conquest in 1763, thereby converting the settlements from a French colony to a British one. Although the 100,000 French-speaking inhabitants lost the physical battle, over time they won the battle to survive linguistically and culturally. Within 60 years of the British conquest, the population grew to 400,000. By the beginning of the 20th century, the French-speaking population had grown to almost two million. Quebec is a story of perseverance and triumph over tragedy. The pathway from the Atlantic Ocean along the St. Lawrence provided a haven for many explorers, entrepreneurs and refugees fleeing persecution, famine, war and other strife. From the aftermath of the American Revolution came Empire Loyalists. In the mid 19th century, ships from Ireland and Scotland arrived with thousands of people who believed in the promise and opportunities of a better life in a new land with a very different climate. Yet acclimatize they did, along with thousands of Italian immigrants who arrived in the early 20th century and then, later, those who endured longer journeys from Greece, Portugal, Haiti, Lebanon and Southeast Asia, to create a rich cultural mosaic. The St. Lawrence River and harbours in Quebec City and Montreal were fundamental to the history of Canada's development. Transportation is a vital component to economic development. The vast railways built in the 19th century to link Canada from east to west have their origins in Quebec City. The founding city was the frontier for the development of the rest of Canada, thus offering the perfect backdrop for the many issues on the G7 agenda. The evolution of Quebec is the epitome of the human struggle to survive post conflict. It defines the character of those steadfast pioneers, explorers, settlers, refugees, trailblazers and soldiers, along with their families, who had no choice but to join the journey. The cultural mosaic that has evolved throughout a fascinating 400-year history while maintaining the unique original cultural and linguistic nature of the Québécois is a fascinating composition. Together with the bounty of beauty offered in the region, Charlevoix is a symbolically meaningful setting for the G7 summit as the leaders deal with environmental issues, the refugee crisis, inequality, food security, global health and economic matters. The history of Quebec offers many lessons. 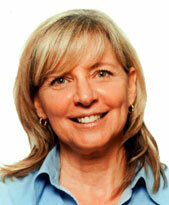 Kathryn Kotris has been a researcher for the G7 and G8 Research Group and the G20 Research Group since 2006. She is on the advisory board of the Pearson Centre for Progressive Policy and has been vice-president of compliance VP Compliance for Mortgage Architects since 2006. She graduated with honours from the University of Toronto with a bachelor of arts in political science and history.